Around the world technology is increasingly making an impact on education; transforming teaching and learning in schools. Yet, a great number of teachers and students are disconnected from this technology – particularly those in developing countries and rural communities. This educational digital divide is increasing in size, as these communities are seen to lack the expenses, network infrastructure and reliable power for technology to operate. While in developed countries, classroom teaching involves more and more digital practices such as tablets, laptops, videos and other digital methods. In developing countries, the biggest problem is a lack of access to these digital resources. However as new technology emerges, such as low cost tablets, digital education is beginning to spark a discussion in these nations. In recent years, tablets have been used increasingly around the world in educational settings. 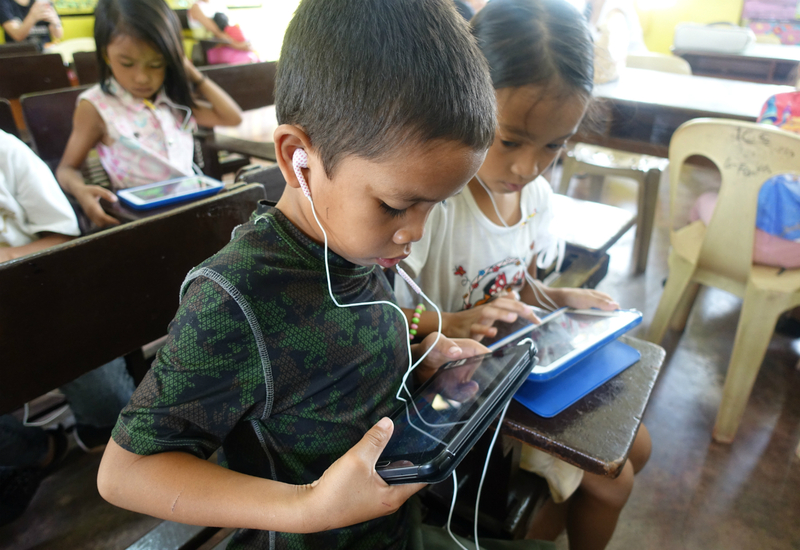 While they are spanning across all corners of the world, there have been mixed reviews of their implementation, bringing attention to both the benefits and challenges of using tablets in education. We believe that as new technology emerges, there is the opportunity to introduce digital education to these disadvantaged communities as long as it is designed and established appropriately. With tablet education, lessons have become more entertaining and interactive. Tablets have increased the motivation of students because they are excited to learn from interactive pictures, videos and games that are a lot more engaging than traditional methods. While the initial cost of tablets is much greater than textbooks, textbooks are often produced much slower and can be expensive. The emergence of low-cost tablets are making it more affordable to bring to poorer communities. While the initial cost may be much higher, in the long term tablets and digital content can actually work out to be cheaper and more suitable. There have been proven academic success rates with tablet education, improving the efficiency in education. By providing students with online screen time by accessing reading and study materials or games and apps, they can expand their language skills, numeracy and other subject knowledge. Tablets can be constantly updated when there is internet connection in order to download the most up-to-date teaching content without the need to regularly buy new textbooks and other teaching materials. Even with limited connectivity, offline content can be used to teach and learn. In order to implement tablet education, the proper infrastructure must be in place. Tablets require a power source to charge the device and internet access to download learning materials and search the internet for online learning materials, to watch videos, and search for information. In many developing countries or rural communities the poor infrastructure is a barrier to delivering digital education. While in some studies it has been proven that tablet education can be cheaper in the long term, even low-cost tablets are still a lot more expensive than traditional textbooks and learning materials. For many communities and schools, they may not be able to afford the large initial sum to buy the technology and the additional running costs. Tablets are often associated with having lots of games and apps on them, if not managed properly they may not be used according to their intended uses but instead used by students for games and non-academic purposes. If teachers are not trained in how to use the tablets or continually supported, the tablets will not be properly integrated into the classroom. There must be ongoing support and training for the teachers so that they are in control of the technology they are using and able to teach with it appropriately. If there isn’t relevant digital teaching content available on the tablets for the particular community then the tablets won’t benefit those using it. Most of the available teaching materials are in the major international languages, however for many local languages educational content in line with the local curriculum does not exist. While understanding that there are challenges to implementing tablet education, the benefits of these programs are also encouraging. When tablet education programs are designed and implemented appropriately for each community, the advantages can be considerable. We believe that with the right technology and training, disadvantaged communities and those in rural environments can reap the benefits of new education tools and platforms.